Fleet Admiral Isoroku Yamamoto (4 April 1884 – 18 April 1943) was Commander-in-Chief of the Combined Fleet during World War II, graduate of the Imperial Japanese Naval Academy and a student of the U.S. Naval War College and of Harvard University (1919–1921). Yamamoto held several important posts in the Imperial Japanese Navy, and undertook many of its changes and reorganizations, especially its development of naval aviation. He was the commander-in-chief during the decisive early years of the Pacific War and so was responsible for major battles such as Pearl Harbor and Midway. He died during an inspection tour of forward positions in the Solomon Islands when his aircraft (a G4M Betty bomber) was ambushed by American P-38 Lightning fighter planes. His death was a major blow to Japanese military morale during World War II. Yamamoto was born as Isoroku Takano in Nagaoka, Niigata. His father was Sadayoshi Takano, an intermediate-ranking samurai of the Nagaoka Domain. "Isoroku" is an old Japanese term meaning "56"; the name referred to his father's age at Isoroku's birth. In 1916, Isoroku was adopted into the Yamamoto family (another family of former Nagaoka samurai) and took the Yamamoto name. It was a common practice for Japanese families lacking sons to adopt suitable young men in this fashion to carry on the family name. In 1918, Isoroku married a woman named Reiko with whom he had four children: two sons and two daughters. Early career: After graduating from the Imperial Japanese Naval Academy in 1904, Yamamoto served on the cruiser Nisshin during the Russo-Japanese War. He was wounded at the Battle of Tsushima, losing two fingers (the index and middle fingers) on his left hand. He returned to the Naval Staff College in 1914, emerging as a lieutenant commander in 1916. Yamamoto was a political dove who was fundamentally opposed to war with the United States by reason of his studies at Harvard University (1919–1921), his tour as an admiral's aide, and his two postings as a naval attaché in Washington, D.C. He was promoted to captain in 1923. In 1924, at the age of 40, he changed his specialty from gunnery to naval aviation. His first command was the cruiser Isuzu in 1928, followed by the aircraft carrier Akagi. Yamamoto was a strong proponent of naval aviation, and (as vice admiral) served as head of the Aeronautics Department before accepting a post as commander of the First Carrier Division. He participated in the second London Naval Conference of 1930 as a rear admiral and the 1934 London Naval Conference as a vice admiral, as the government felt that a career military specialist needed to accompany the diplomats to the arms limitations talks. Yamamoto personally opposed the invasion of Manchuria in 1931, the subsequent land war with China (1937), and the Tripartite Pact (1940) with Nazi Germany and Fascist Italy. As Deputy Navy Minister, he apologized to United States Ambassador Joseph C. Grew for the bombing of the gunboat USS Panay in December 1937. These issues made him a target of assassination by pro-war militarists. To die for Emperor and Nation is the highest hope of a military man. After a brave hard fight the blossoms are scattered on the fighting field. But if a person wants to take a life instead, still the fighting man will go to eternity for Emperor and country. One man's life or death is a matter of no importance. All that matters is the Empire. As Confucius said, "They may crush cinnabar, yet they do not take away its color; one may burn a fragrant herb, yet it will not destroy the scent." They may destroy my body, yet they will not take away my will. The Japanese army, annoyed at admiral Yamamoto's unflinching opposition to a Rome-Berlin-Tokyo treaty, dispatched military police to "guard" Yamamoto; this was an attempt by the Army to keep an eye on him. He was later reassigned from the Navy Ministry to sea as the Commander-in-Chief of the Combined Fleet on (30 August 1939). This was done as one of the last acts of the then acting Navy Minister Mitsumasa Yonai, under Baron Hiranuma's short-lived administration partly to make it harder for assassins to target Yamamoto; Yonai was certain that if Yamamoto remained ashore, he would be killed before the year (1939) ended. "there was no officer more competent to lead the Combined Fleet to victory than Admiral Yamamoto. His daring plan for the Pearl Harbor attack had passed through the crucible of the Japanese naval establishment, and after many expressed misgivings, his fellow admirals had realized that Yamamoto spoke no more than the truth when he said that Japan's hope for victory in this upcoming war was limited by time and oil. Every sensible officer of the navy was well aware of the perennial oil problems. Also, it had to be recognized that if the enemy could seriously disturb Japanese merchant shipping, then the fleet would be endangered even more." Consequently, Yamamoto stayed in his post. With General Tojo now in charge of Japan's highest political office, it became clear the Army would lead the Navy into a war about which Yamamoto had serious reservations. He wrote to an ultranationalist; Should hostilities once break out between Japan and the United States, it is not enough that we take Guam and the Philippines, nor even Hawaii and San Francisco. To make victory certain, we would have to march into Washington and dictate the terms of peace in the White House. I wonder if our politicians.. who speak so lightly of a Japanese-American war.. have confidence as to the final outcome and are prepared to make the necessary sacrifices. This quote was spread by the militarists, minus the last sentence, where it was interpreted in America as a boast that Japan would conquer the entire continental United States. The omitted sentence showed Yamamoto's counsel of caution towards a war that could cost Japan dearly. Nevertheless, Yamamoto accepted the reality of impending war and planned for a quick victory by destroying the US fleet at Pearl Harbor while simultaneously thrusting into the oil and rubber resource rich areas of Southeast Asia, especially the Dutch East Indies, Borneo and Malaya. In naval matters, Yamamoto opposed the building of the super-battleships Yamato and Musashi as an unwise investment of resources. Yamamoto was responsible for a number of innovations in Japanese naval aviation. Although remembered for his association with aircraft carriers due to Pearl Harbor and Midway, Yamamoto did more to influence the development of land-based naval aviation, particularly the G3M and G4M medium bombers. His demand for great range and the ability to carry a torpedo was intended to conform to Japanese conceptions of attriting the American fleet as it advanced across the Pacific in war. The planes did achieve long range, but long-range fighter escorts were not available. These planes were lightly constructed and when fully fueled, they were especially vulnerable to enemy fire. This earned the G4M the sardonic nick-name "the Flying Cigarette Lighter." Yamamoto would eventually die in one of these aircraft. The range of the G3M and G4M contributed to a demand for great range in a fighter aircraft. This partly drove the requirements for the A6M Zero which was as noteworthy for its range as for its maneuverability. Both qualities were again purchased at the expense of light construction and flammability that later contributed to the A6M's high casualty rates as the war progressed. As Japan moved toward war during 1940, Yamamoto gradually moved toward strategic as well as tactical innovation, again with mixed results. Prompted by talented young officers such as Minoru Genda, Yamamoto approved the reorganization of Japanese carrier forces into the First Air Fleet, a consolidated striking force that gathered Japan's six largest carriers into one unit. This innovation gave great striking capacity, but also concentrated the vulnerable carriers into a compact target; both boon and bane would be realized in war. Yamamoto also oversaw the organization of a similar large land-based organization in the 11th Air Fleet, which would later use the G3M and G4M to neutralize American air forces in the Philippines and sink the British Force "Z". Correctly pointing out this plan had never worked even in Japanese war games, and painfully aware of American strategic advantages in military productive capacity, Yamamoto proposed instead to seek a decision with the Americans by first reducing their forces with a preemptive strike, and following it with a "Decisive Battle" sought offensively, rather than defensively. Yamamoto hoped, but probably did not believe, if the Americans could be dealt such terrific blows early in the war, they might be willing to negotiate an end to the conflict. As it turned out, however, the note officially breaking diplomatic relations with the United States was delivered late, and he correctly perceived the Americans would be resolved upon revenge and unwilling to negotiate. Yamamoto's thoughts on this matter were later dramatically encapsulated in the apocryphal "sleeping giant" quote uttered in the movie Tora! Tora! Tora!. The Naval General Staff proved reluctant to go along and Yamamoto was eventually driven to capitalize on his popularity in the fleet by threatening to resign to get his way. Admiral Osami Nagano and the Naval General Staff eventually caved in to this pressure, but only insofar as approving the attack on Pearl Harbor. Surprise attacks have a long military tradition when starting a war, and Japan could see clear to supporting such to give themselves six months to secure the resources of the Netherlands East Indies without the interference of the American navy. As Yamamoto had planned, the First Air Fleet of six carriers armed with about 390 planes, commenced hostilities against the Americans on 7 December 1941, launching 353 aircraft against Pearl Harbor in two waves. The attack was a complete success according to the parameters of the mission which sought to sink at least four American battleships and prevent the U.S. Fleet from interfering in Japan's southward advance for at least six months. American aircraft carriers were also considered a choice target, but were not in port at the time of the attack. In the end, five American battleships were sunk, three damaged, and eleven other cruisers, destroyers and auxiliaries were sunk or seriously damaged. The Japanese lost only 29 aircraft, but suffered damage to more than 111 aircraft. The damaged aircraft were disproportionately dive- and torpedo-bombers, seriously impacting available firepower to exploit the first two waves' success and First Air Fleet Commander Vice Admiral Chuichi Nagumo withdrew. Yamamoto later lamented Nagumo's failure to seize the initiative to seek out and destroy the American carriers, absent from the harbor, or further bombard various strategically important facilities on Oahu. Nagumo had absolutely no idea where the American carriers might be, and remaining on station while his forces cast about looking for them ran the risk his own force might be found first and attacked while his aircraft were absent searching. Further, his aircraft also lacked appropriate ordnance for attacking the machine tools and drydocks of the shipyard, or even the revetted fuel tanks, whose destruction could have been more serious losses than the fighting ships themselves. In any case, insufficient daylight remained after recovering the aircraft from the first two waves for the carriers to launch and recover a third before dark, and Nagumo's escorting destroyers lacked the fuel capacity for him to loiter long. Much has been made of Yamamoto's hindsight, but (in keeping with Japanese military tradition not to criticize the commander on the spot) he did not punish Nagumo in any way for his withdrawal, which was according to plan. On the political level, the attack was a disaster for Japan, rousing American passions for revenge due to it being a "sneak attack". In fact, the Japanese had begun all their modern wars in this fashion and it was fully expected they would do so again - just not at Pearl Harbor. The shock of the attack coming in an unexpected place, with such devastating results and without the expected "fair play" of a declaration of war galvanized the American public's determination to avenge the attack. When asked by Prime Minister Fumimaro Konoe in mid-1941 concerning the outcome of a possible war with the United States, Yamamoto made a well-known and prophetic statement: If ordered to fight, "I shall run wild considerably for the first six months or a year but I have utterly no confidence for the second and third years." His prediction would be vindicated as Japan easily conquered territories and islands for the first 6 months of the war until it suffered a shattering defeat at the Battle of Midway on June 4–7, 1942, which tilted the balance of power in the Pacific towards the U.S.
As a strategic blow intended to prevent American interference in the Netherlands East Indies for six months, the attack was a success, but unbeknownst to Yamamoto, it was a pointless one. The U.S. Navy had abandoned any intention of attempting to charge across the Pacific towards the Philippines at the outset of war in 1935 (in keeping with the evolution of War Plan Orange). In 1937, the U.S. Navy had further determined even fully manning the fleet to wartime levels could not be accomplished in less than six months, and myriad other logistic assets needed to execute a trans-Pacific movement simply did not exist and would require two years to construct after the onset of war. In 1940, U.S. Chief of Naval Operations, Admiral Harold Stark had penned "Plan Dog", which emphasized a defensive war in the Pacific while the U.S. concentrated on defeating Nazi Germany first, and consigned Admiral Husband Kimmel's Pacific Fleet to merely keeping the IJN out of the eastern Pacific and away from the shipping lanes to Australia. Moreover, it is in question the U.S. would have gone to war at all had Japan only attacked British and Dutch possessions in the Far East. Under Yamamoto's able subordinates, Vice Admirals Ozawa, Kondo and Takahashi, the Japanese swept the inadequate remaining American, British, Dutch and Australian naval assets from the Netherlands East Indies in a series of amphibious landings and surface naval battles that culminated in the Battle of the Java Sea on 27 February 1942. With the occupation of the Netherlands East Indies, and the reduction of the remaining American positions in the Philippines to forlorn hopes on the Bataan Peninsula and Corregidor island, the Japanese had secured their oil- and rubber-rich "Southern Resources Area". Having achieved their initial aims with surprising speed and little loss (albeit against enemies ill-prepared to resist them), the Japanese paused to consider their next moves. Since neither the British nor the Americans were willing to negotiate, their thoughts turned to securing and protecting their newly seized territory, and acquiring more with an eye toward additional conquest andor attempting to force one or more of their enemies out of the war. Plans included ideas as ambitious as invading India or Australia, as well as seizing Hawaii. These grandiose ventures were inevitably set aside as the Army could not spare enough troops from China for the first two, no shipping to support the latter two. (Shipping was allocated separately to IJN & IJA, and jealously guarded.) Instead, the Imperial General Staff supported an Army thrust into Burma in hopes of linking up with Indian Nationalists revolting against British rule, and attacks in New Guinea and the Solomon Islands designed to imperil Australia's sea line of communication with the United States. Yamamoto agitated for an offensive Decisive Battle in the east to finish the American fleet, but the more conservative Naval General Staff officers were unwilling to risk it. In the midst of these debates, the Doolittle Raid struck Tokyo and the surrounding areas, galvanizing the threat posed by the American aircraft carriers in the minds of staff officers, and giving Yamamoto an event he could exploit to get his way. The Naval General Staff agreed to Yamamoto's Midway (MI) Operation, subsequent to the first phase of the operations against Australia's link with America, and concurrent with their own plan to seize positions in the Aleutian Islands. Yamamoto rushed planning for the Midway and Aleutians missions, while dispatching a force under Rear Admiral Takeo Takagi, including the Fifth Carrier Division (the large, new carriers Shōkaku and Zuikaku), to support the effort to seize the islands of Tulagi and Guadalcanal for seaplane and airplane bases, and the town of Port Moresby on Papua New Guinea's south coast facing Australia. The Port Moresby (MO) Operation proved an unwelcome reverse. Although Tulagi and Guadalcanal were taken, the Port Moresby invasion fleet was compelled to turn back when Takagi clashed with an American carrier task force in the Battle of the Coral Sea in early May. Although the Japanese sank the American carrier Lexington in exchange for a smaller carrier, the Americans damaged the carrier Shōkaku so badly that she required dockyard repairs. Just as importantly, Japanese operational mishaps and American fighters and anti-aircraft fire devastated the dive bomber and torpedo plane elements of both Shōkaku’s and Zuikaku’s air groups. These losses sidelined Zuikaku while she awaited replacement aircraft and aircrews, and saw to tactical integration and training. These two ships would be sorely missed a month later at Midway. References: Dull (1978), Evans & Peattie (1997), Lundstrom (1984), Parillo. Yamamoto's plan for the MI was an extension of his efforts to knock the U.S. Pacific Fleet out of action long enough for Japan to fortify her defensive perimeter in the Pacific island chains. Yamamoto felt it necessary to seek an early, offensive decisive battle. This was long believed to have been to draw American attention—and possibly carrier forces—north from Pearl Harbor by sending his Fifth Fleet (two light carriers, five cruisers, 13 destroyers and four transports) against the Aleutians, raiding Dutch Harbor on Unalaska Island and invading the more distant islands of Kiska and Attu. Recent scholarship using Japanese language documents has revealed it was, rather, an unrelated venture of the Naval General Staff which Yamamoto agreed to conduct concurrently with the Midway operation, in exchange for the latter's approval. The plan was a compromise and hastily prepared, but appeared well thought out, well organized, and finely timed when viewed from a Japanese viewpoint. Against four carriers, two light carriers, 11 battleships, 16 cruisers and 46 destroyers likely to be in the area of the main battle the Americans could field only three carriers, eight cruisers, and 15 destroyers. The disparity appeared crushing. Only in numbers of available aircraft and submarines was there near parity between the two sides. Despite various frictions developed in the execution, it appeared—barring something extraordinary—Yamamoto held all the cards. Following a foolish nuisance raid by Japanese flying boats in May, Nimitz dispatched a minesweeper to guard the intended refueling point for Operation K, causing the reconnaissance mission to be aborted and leaving Yamamoto ignorant of whether Pacific Fleet carriers were still at Pearl Harbor. (It remains unclear why Yamamoto permitted the early flight, when pre-attack reconnaissance was essential to the success of MI.) He also dispatched his carriers toward Midway early, and they passed the intended picket line force of submarines before they arrived on station, negating Yamamoto's back-up security measure. Nimitz's carriers then positioned themselves to ambush the First Mobile Force when it struck Midway. A token cruiser and destroyer force was dispatched toward the Aleutians, but otherwise ignored it. Days before Yamamoto expected American carriers to interfere in the Midway operation, they destroyed the four carriers of the First Mobile Force on 4 June 1942, catching the Japanese carriers at precisely their most vulnerable moment. With his air power destroyed and his forces not yet concentrated for a fleet battle, Yamamoto attempted to maneuver his remaining forces, still strong on paper, to trap the American forces. He was unable to do so because Admiral Raymond Spruance prudently withdrew to the east in a position to further defend Midway Island, believing (based on a mistaken submarine report) the Japanese still intended to invade. Not knowing that several battleships including the extremely powerful Yamato were on the Japanese order of battle, he did not comprehend the severe risk of a night surface battle, in which his carriers and cruisers would be at a disadvantage. However, his move to the east did avoid the possibility of such a battle taking place. Correctly perceiving that he had lost, Yamamoto aborted the invasion of Midway and withdrew. The defeat ended Yamamoto's six months of success and marked the high tide of Japanese expansion. Yamamoto's plan for MI has been the subject of much criticism. Many commentators state it violated the principle of concentration of force, and was overly complex. Others point out similarly complex Allied operations that were successful, and note the extent to which the American intelligence coup derailed the operation before it began. Had Yamamoto's dispositions not denied Nagumo pre-attack reconnaissance assets, both the American cryptanalytic success and the unexpected appearance of Fletcher's carriers would have been irrelevant. Actions after Midway: The Battle of Midway solidly checked Japanese momentum, but the IJN was still a powerful force and capable of regaining the initiative. They planned to resume the thrust with Operation FS aimed at eventually taking Samoa and Fiji to cut the American life-line to Australia. This was expected to short-circuit the threat posed by General Douglas MacArthur and his American and Australian forces in New Guinea. To this end, development of the airfield on Guadalcanal continued and attracted the baleful eye of Yamamoto's opposite number, Admiral Ernest King. King ramrodded the idea of an immediate American counter-attack to prevent the Japanese from regaining the initiative through the Joint Chiefs of Staff. This precipitated the American invasion of Guadalcanal and beat the Japanese to the punch, with Marines landing on the island in August 1942 and starting a bitter struggle that lasted until February 1943 and commenced a battle of attrition Japan could ill-afford. Admiral Yamamoto remained in command, retained at least partly to avoid diminishing the morale of the Combined Fleet. However, he had lost face in the Midway defeat and the Naval General Staff were disinclined to indulge further gambles. This reduced Yamamoto to pursuing the classic defensive Decisive Battle strategy he had attempted to overturn. Guadalcanal caught the Japanese over-extended and attempting to support fighting in New Guinea while guarding the Central Pacific and preparing to conduct the Operation FS. The FS operation was abandoned and the Japanese attempted to fight in both New Guinea and Guadalcanal at the same time. Already overextended, they perpetually fell short of success for lack of shipping, lack of troops, and a disastrous inability to coordinate Army and Navy activities. Yamamoto committed Combined Fleet units to a series of small attrition actions that stung the Americans, but suffered losses he could ill-afford in return. Three major efforts to carry the island precipitated a pair of carrier battles that Yamamoto commanded personally at the Eastern Solomons and Santa Cruz Islands in September and October, and finally a wild pair of surface engagements in November, all timed to coincide with Japanese Army pushes. The timing of each major battle was successively derailed when the Army could not hold up its end of the operation. Yamamoto's forces caused considerable loss and damage, but he could never draw the Americans into a decisive fleet action. As a result, the Japanese Navy's strength began to bleed off. There were severe losses of carrier dive-bomber and torpedo-bomber crews in the carrier battles, emasculating the already depleted carrier air groups. Japan could not hope to match the United States in quantities of well-trained replacement pilots, and the quality of both Japanese land-based and naval aviation began declining. Particularly harmful however, were losses of destroyers in the foolish Tokyo Express supply runs. The IJN already faced a shortage of such ships, and their losses further exacerbated Japan's already weakened commerce defense. With Guadalcanal lost in February 1943, there was no further attempt to seek a major battle in the Solomon Islands although smaller attrition battles continued. Yamamoto shifted the load of the air battle from the depleted carriers to the land-based naval air forces. Operation Vengeance: To boost morale following the defeat at Guadalcanal, Yamamoto decided to make an inspection tour throughout the South Pacific. On 14 April 1943, the US naval intelligence effort, code-named "Magic", intercepted and decrypted a message containing specific details regarding Yamamoto's tour, including arrival and departure times and locations, as well as the number and types of planes that would transport and accompany him on the journey. Yamamoto, the itinerary revealed, would be flying from Rabaul to Ballalae Airfield, on an island near Bougainville in the Solomon Islands, on the morning of 18 April 1943. U.S. President Franklin D. Roosevelt requested Secretary of the Navy Frank Knox to "Get Yamamoto." Knox instructed Admiral Chester W. Nimitz of Roosevelt's wishes. Admiral Nimitz consulted Admiral William F. Halsey, Jr., Commander, South Pacific, then authorized a mission on 17 April to intercept Yamamoto's flight en route and down it. The 339th Fighter Squadron of the 347th Fighter Group, 13th Air Force, was assigned the mission, since only their P-38 Lightning aircraft possessed the range to intercept and engage. Pilots were informed that they were intercepting an "important high officer", although they were not aware of who their actual target was. On the morning of April 18, despite urgings by local commanders to cancel the trip for fear of ambush, Yamamoto's planes left Rabaul as scheduled for the 315-mile trip. Shortly after, eighteen specially-fitted P-38s took off from Guadalcanal. They wave-hopped most of the 430 miles (692 km) to the rendezvous point, maintaining radio silence throughout. At 09:34 Tokyo time, the two flights met and a dogfight ensued between the P-38s and the six Zeroes escorting Yamamoto. 1st Lieutenant Rex T. Barber engaged the first of the two Japanese bombers, which turned out to be Yamamoto's plane. He sprayed the plane with gunfire until it began to spew smoke from its left engine. Barber turned away to attack the other bomber as Yamamoto's plane crashed into the jungle. Afterwards, another pilot and ace, Captain Thomas George Lanphier, Jr., claimed he had shot down the lead bomber, which led to a decades-old controversy until a team inspected the crash site to determine direction of the bullet impacts. The official record of the engagement gave half a kill to each Lanphier and Barber. One US pilot 1st Lt Raymond K. Hine was killed in action. The crash site and body of Admiral Yamamoto were found the next day in the jungle north of the then-coastal site of the former Australian patrol post of Buin by a Japanese search and rescue party, led by Army engineer Lieutenant Hamasuna. According to Hamasuna, Yamamoto had been thrown clear of the plane's wreckage, his white-gloved hand grasping the hilt of his katana, still upright in his seat under a tree. Hamasuna said Yamamoto was instantly recognizable, head dipped down as if deep in thought. A post-mortem of the body disclosed that Yamamoto had received two gunshot wounds, one to the back of his left shoulder and another to his left lower jaw that exited above his right eye. Despite the evidence, the question of whether or not the Admiral initially survived the crash has been a matter of controversy in Japan. This proved to be the longest fighter-intercept mission of the war. In Japan it became known as the "Navy A Incident"(CRb; Kaigun kō-jiken). It raised morale in the United States, and shocked the Japanese who were officially told about the incident only on 21 May 1943. To cover up the fact that the Allies were reading Japanese code, American news agencies were told that civilian coast-watchers in the Solomon Islands saw Yamamoto boarding a bomber in the area. They also did not publicize the names of most of the pilots that attacked Yamamoto's plane because one of them had a brother who was a prisoner of the Japanese and U.S. military officials feared for his safety. Captain Watanabe and his staff cremated Yamamoto's remains at Buin, and the ashes were returned to Tokyo aboard the battleship Musashi, Yamamoto's last flagship. Yamamoto was given a full state funeral on 3 June 1943, where he received, posthumously, the title of Fleet Admiral and awarded the Order of the Chrysanthemum, (1st Class). He was also awarded Nazi Germany's Knight's Cross of the Iron Cross with Oak Leaves and Swords. Part of his ashes were buried in the public cemetery in Tama, Tokyo (쉀), and the remainder at his ancestral burial grounds at the temple of Chuko-ji in Nagaoka City. Personal life: While other military leaders avoided the image of being "soft", Yamamoto continued to practice calligraphy and wrote poems, though his poems have been criticized by some as being monotonous. He and his wife, Reiko, had four children: two sons and two daughters. Yamamoto was an avid gambler, enjoying shogi, billiards, bridge, mah jong, poker, and other games that tested his wits and sharpened his mind. He frequently made jokes about moving to Monaco and starting his own casino. He enjoyed the company of geisha, and his wife Reiko revealed to the Japanese public in 1954 that Yamamoto was closer to his favorite geisha Kawai Chiyoko than to her, which stirred some controversy. After his death, his funeral procession passed by Kawai's quarters on the way to the cemetery, perhaps with hidden purpose. Despite his fondness of other pleasures, Yamamoto is described in most sources as a teetotaler. 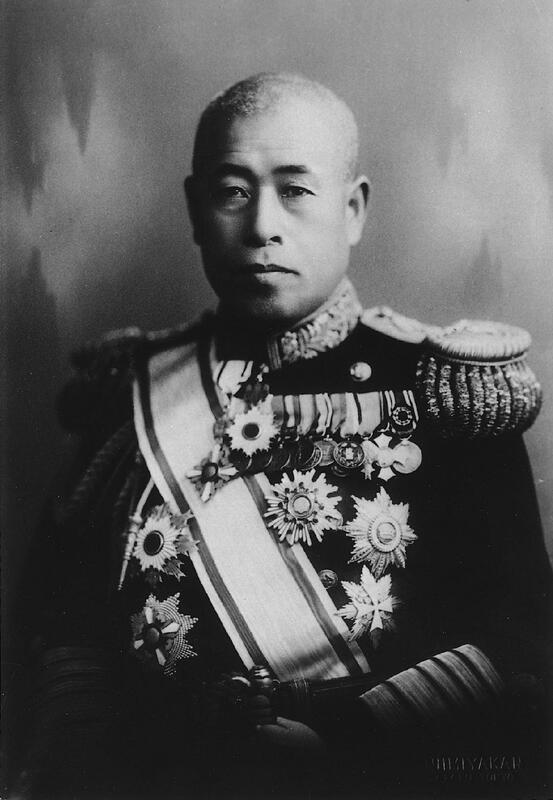 Yamamoto as a commander: Yamamoto is generally regarded as one of the most prominent leaders in the Imperial Japanese Navy for making significant changes to its organization although he was also responsible for several critical defeats. Yamamoto is considered to be an imaginative and brave leader for formulating a plan to launch a pre-emptive attack on US forces in the Pacific Fleet. Having visited and studied at the U.S. Naval War College and Harvard University, he was reluctant to enter into war with the United States. He was aware of the overwhelming industrial capacity of the United States compared to that of Japan, and felt that only a knockout blow would remove the US threat to Japan. He also didn't trust Nazi Germany-somewhat ironically, he became the only non-German to be given the Knights Cross with Oak Leaves and Swords, which was awarded after his death. He correctly anticipated that the aircraft carrier would play a role in any decisive battle with the United States. Furthermore, he supported increasing the striking range of the air fleets by combining as many as 6 aircraft carriers into one carrier battle group. Additionally, he often assigned capable individuals such as Minoru Genda to form his battle plans. His forces suffered severely in certain areas, with torpedoes from Allied submarines dealing major blows to the Imperial Japanese Navy shipping and causing the war economy of Japan to be starved of resources. The Imperial Japanese Navy's codes were decrypted by the United States, which proved to be a fatal development as it resulted in the biggest direct blow to the Imperial Japanese Navy at the Battle of Midway. The battle proved to be Yamamoto's most prominent defeat—his force lost four aircraft carriers and 228 planes and suffered significant casualties. Several motion pictures depict the character of Isoroku Yamamoto. One of the most notable films is the movie Tora! Tora! Tora!. The 1970 film, which depicts the Japanese attack on Pearl Harbor, is considered by many to be the definitive look at the battle from both sides of the conflict. The film features Japanese actor Sô Yamamura as Yamamoto. He is seen planning the Japanese attack. I fear that all we have done is to awaken a sleeping giant and fill him with a terrible resolve. —attributed to Yamamoto in Tora! Tora! Tora! (1970), in reference to the attack on Pearl Harbor. The 1960 film, The Gallant Hours, starring James Cagney, depicts the battle of wits between Admirals Halsey and Yamamoto from the time of Guadalcanal to Yamamoto's death. In 1976, the film Midway was released. An epic look at the battle that turned the tide of the war in the Pacific, the film features Toshirô Mifune (star of The Seven Samurai) as Yamamoto. He is depicted planning the attack on Midway Atoll, and sees his plans fall apart as he sees the destruction of all four Japanese carriers during the battle of June 4–6, 1942. Unlike Tora! Tora! Tora!, all the Japanese characters speak in English. Mifune had previously portrayed Yamamoto in the 1968 Japanese film Rengo kantai shirei chôkan: Yamamoto Isoroku. The latest depiction of Yamamoto on film was in 2001's Pearl Harbor, a Jerry Bruckheimer—produced epic. While mostly focused on the love triangle between American characters, the film does show several scenes depicting the Japanese planning of the attack on Pearl Harbor. Yamamoto is played by Oscar-nominated actor Mako, star of such films as The Sand Pebbles and Conan the Barbarian. One of Yamamoto's most notable quotes in the film is: "A brilliant man would find a way not to fight a war." Yamamoto is also featured in a number of alternate history anime series. He is seen in the TV series Zipang, where he leads the Combined Fleet after seeing the JMSDF destroyer Mirai for the first time. In the 1993 TV series Konpeki no Kantai (Deep Blue Fleet) and its 1997 OVA sequel, Kyokujitsu no Kantai (Fleet of the Rising Sun), the original timeline proceeds until the shootdown. However, instead of dying in the crash, Yamamoto blacks out and suddenly wakes up as his younger self, Isoroku Takano, after the Battle of Tsushima in 1905. His memory from the original timeline intact, Yamamoto uses his knowledge of the future to make Japan a stronger naval power, even launching a coup d'etat against the monarchy.